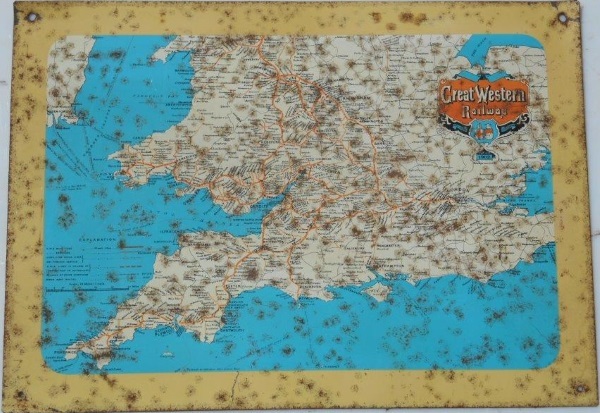 Lot 192 Original GWR Tin System Map showing all the GWR network, dated 1902. In need of some TLC!!! !